The ADJ VBar Pak is a compact, low profile LED Linear fixture kit with two VBAR LED Bars, a soft case gig bag and an IR wireless remote. 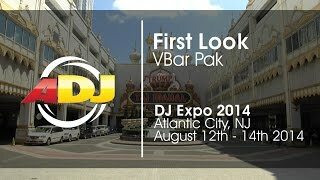 Considering purchasing the American DJ VBAR PAK ? Have questions? Ask people who've recently bought one. 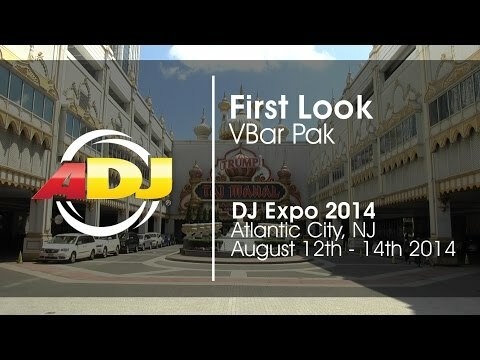 Do you own the American DJ VBAR PAK ? Why not write a review based on your experience with it. Superb value for money with this pack. Great product and service, 5 stars! These are awesome LED bars from ADJ for the price - cannot fault them. The colours are good and the addition of the Amber LED allows you to create some decent pastel colours. You cannot fault this package. For the great low price you get two bars, ADJ remote and a bag! for the cost of this pack you can buy one of the larger bars which are bigger and more difficult to store and dont include the added extras. I would highly highly recommend these. They are perfect for any up lighting requirements but are also very good for lighting small stages with a low-room. The colours are crisp and colour mixing is amazing. I have just purchases one of these packs and they are perfect for uplighting and general stage wash. I purchased these to accompany my Mega Tripar Profile Plus and they partner these fixtures perfectly. They also play nicely together in Master/Slave mode. So far I've used them as uplighters behind my DJ booth and as internal booth lighting and they were excellent. They have a solid robust feel to them as with all ADJ products. The bag also protects them nicely without being overly bulky. The pack does not contain a DMX cable so to master slave them you need to purchase this separately to get the most from these lights. Overall, definitely recommended. Ordered the DJ VBAR PAK lights from DJkit.com. Their web site is easy to navigate and use. The item arrived quickly and in good packaging. A nice bonus was the inclusion of two UK power leads free of charge. The lights are great and are of very nice quality with excellent features. Great service! Will certainly use again. A great bundle at a great price!! Seen a video for American DJ VBAR PAK online or have you own video? Check out American DJ VBAR PAK on DJkit.com!